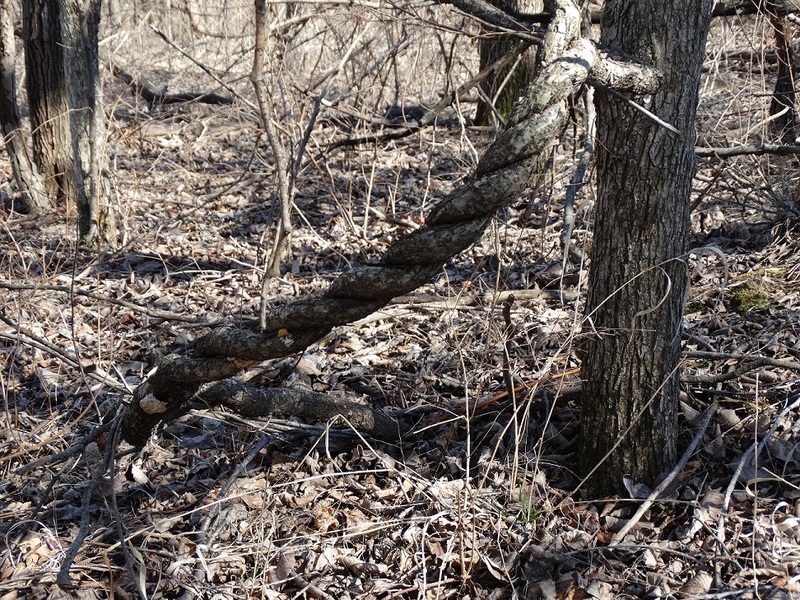 Since it has warmed up some we decided to take a stroll in the timber behind our house where we came across this twisty tree. Yesterday Glen and I went to Hermann for their annual Wurstfest. Many local and surrounding state sausage makers compete for the best bratwurst, sausage, jerky, braunschweiger and sommer sausage. For a small fee we got to sample all of them. 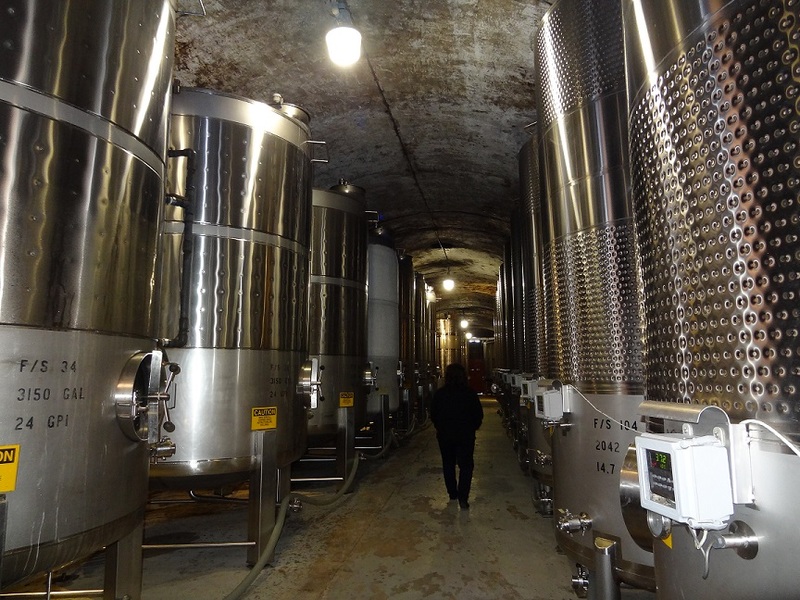 We also toured three wineries Stone Hill, Hermannhof and Dierberg Star Lane. To end our day we visited the Tin Mill Brewery and sampled their beer. 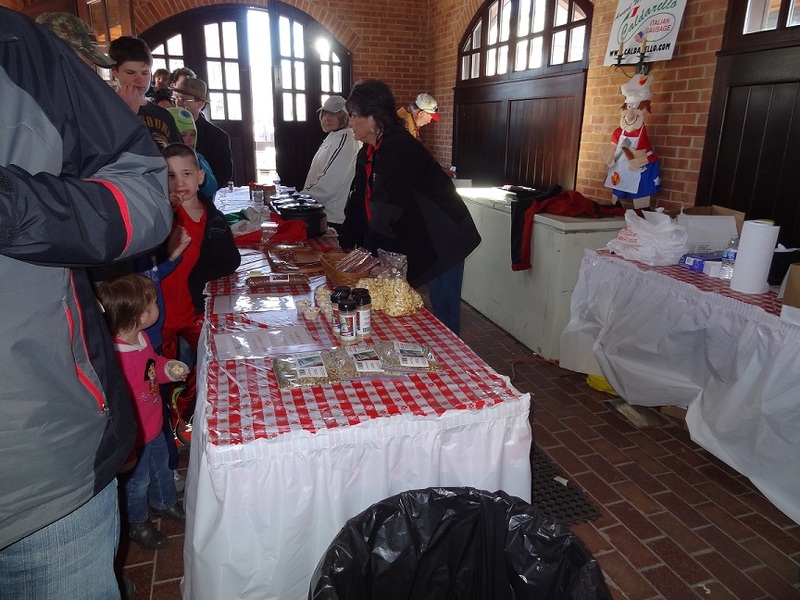 One of the many sausage sampling tables. 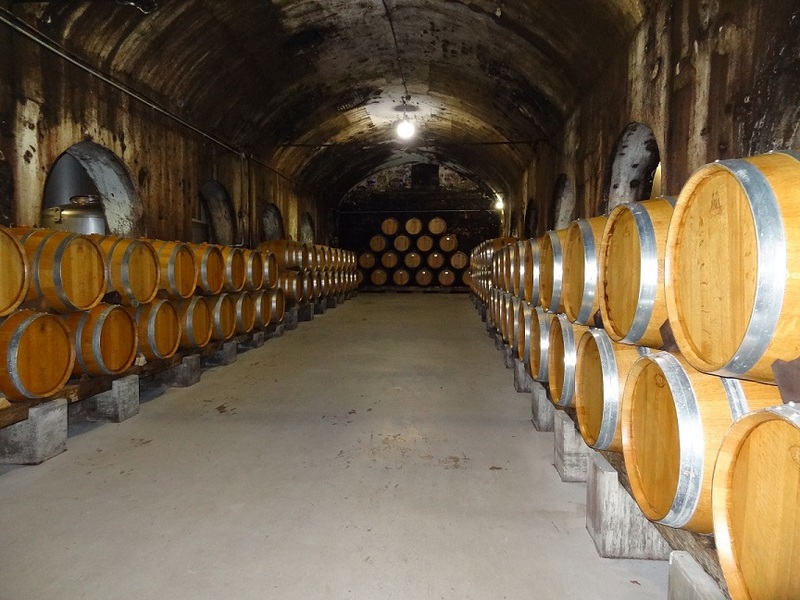 The wine cellar at Stone Hill Winery. Lots and lots of wine at Stone Hill. 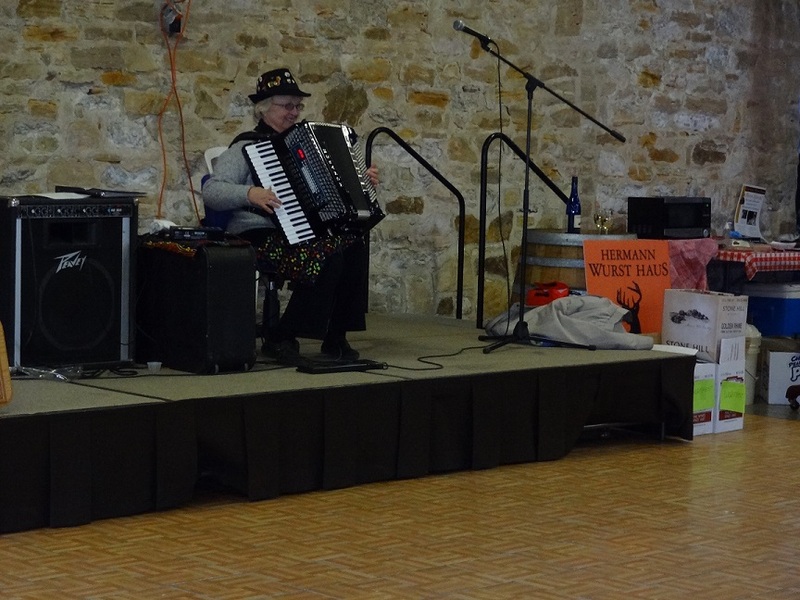 No visit to a town settled by German immigrants would be complete without accordion music. 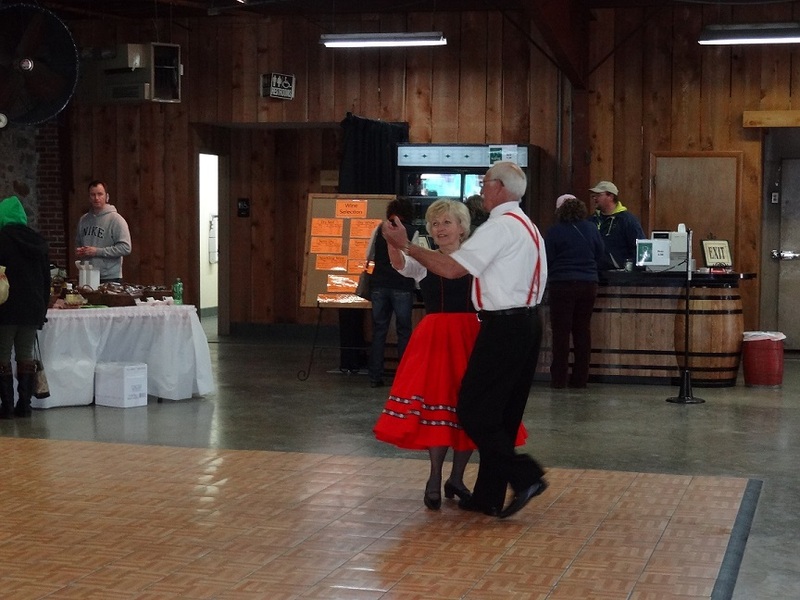 An older couple spent their day dancing to the accordion music. 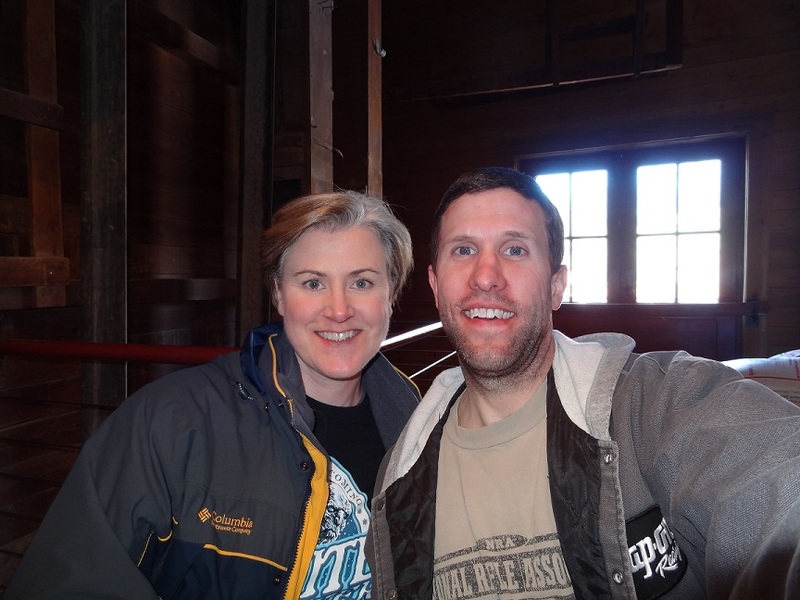 Me and Glen after sampling beer at the Tin Mill Brewery. 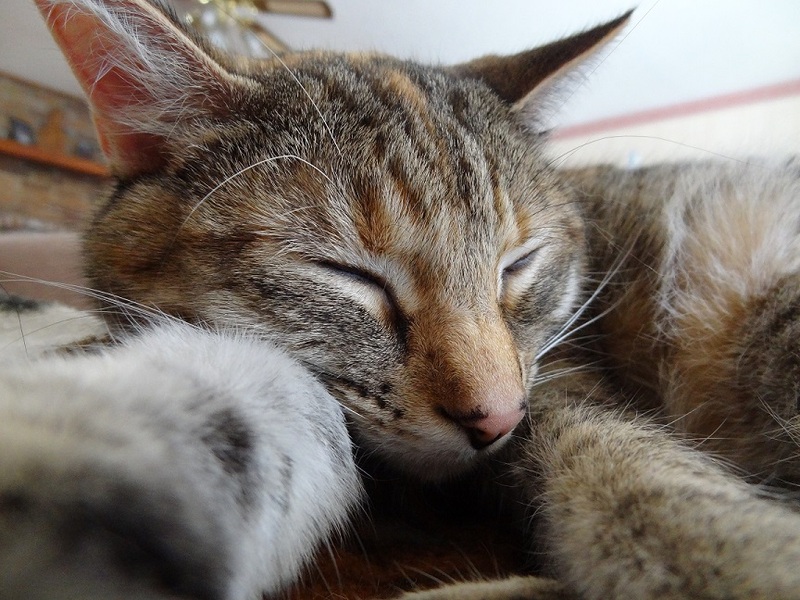 We had a great day and got to bring home lots of handmade sausages and jerky, wine and beer. Hermann is a quaint little town and I would highly recommend visiting there if you have the opportunity. Glen and I took the dogs out for a walk the other day and we got to visit with the horses that live across the road from us. 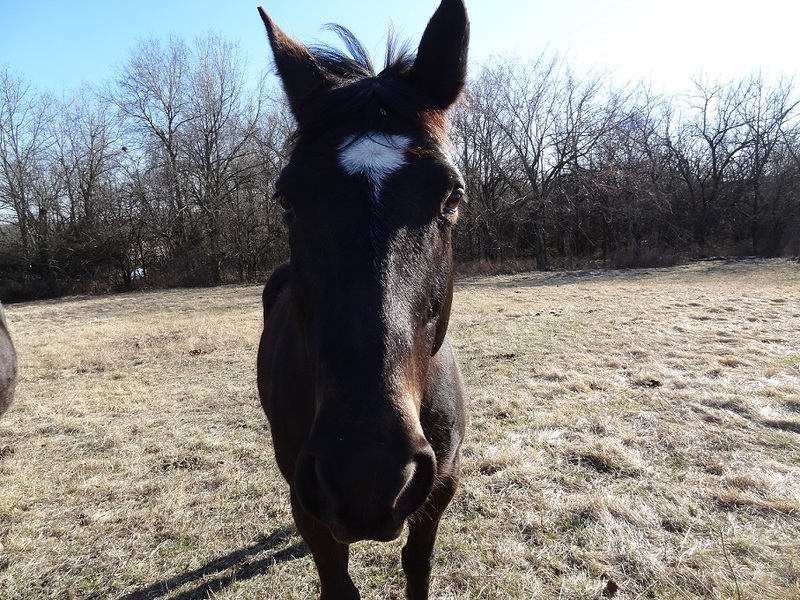 I noticed that this particular horse has a marking on its forehead that looks just like a thought bubble….at least to me. What do you think? 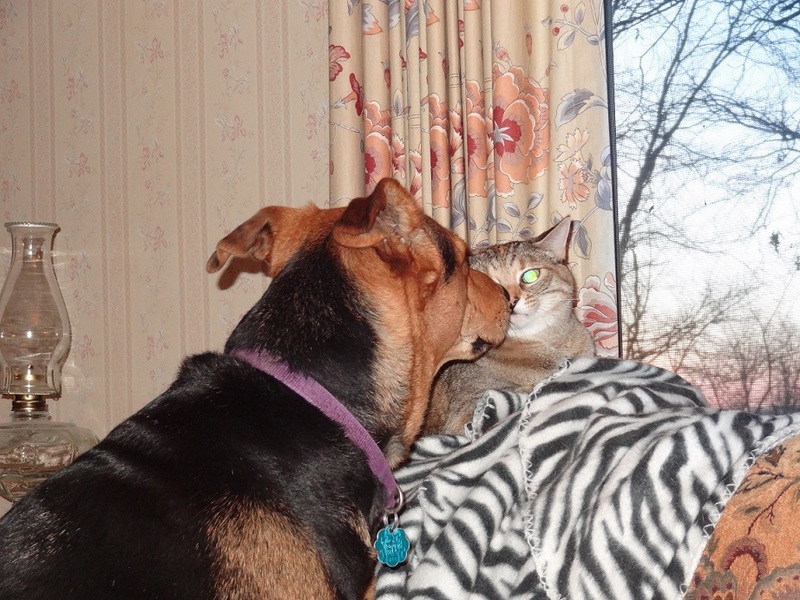 Lilly, (the cat), doesn’t look too enthusiastic. 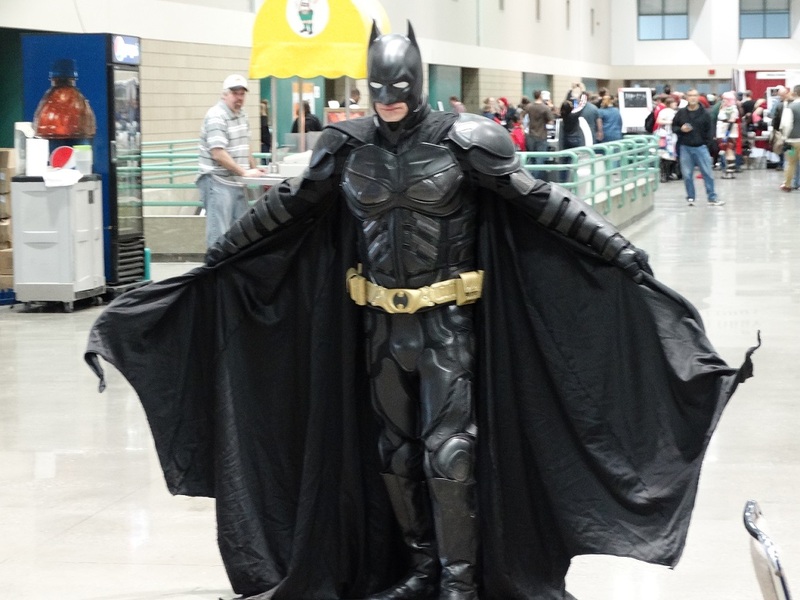 Here are some of the cosplayers from Planet Comicon this year. 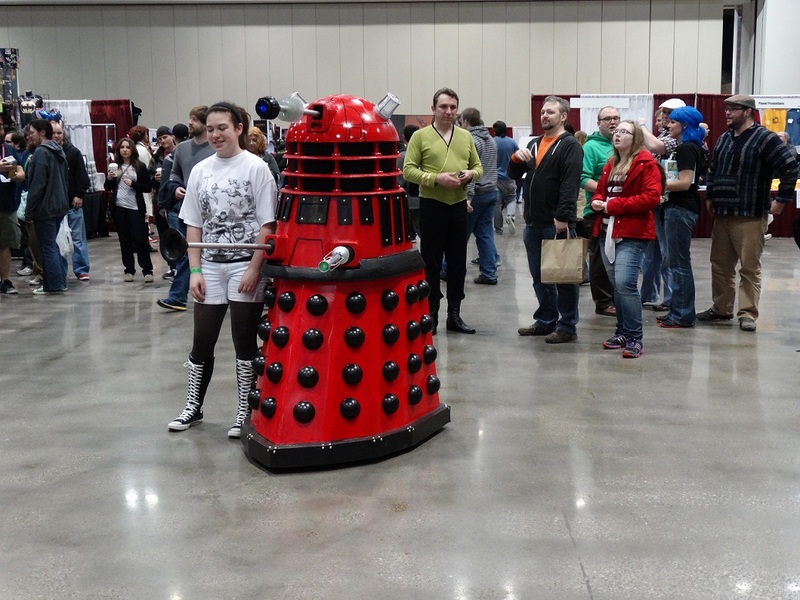 A red Dalek from Dr Who. 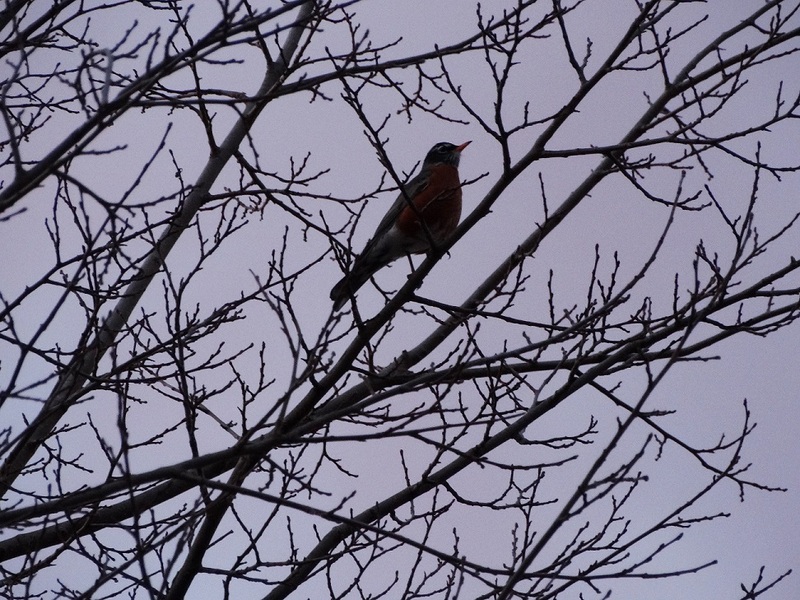 This particular one had a person inside so it moved. 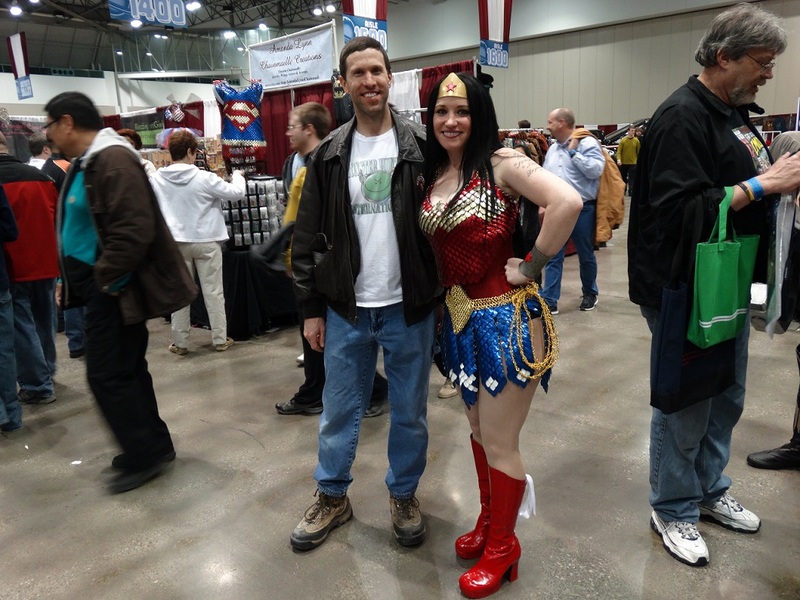 Glen posing with Wonder Woman. 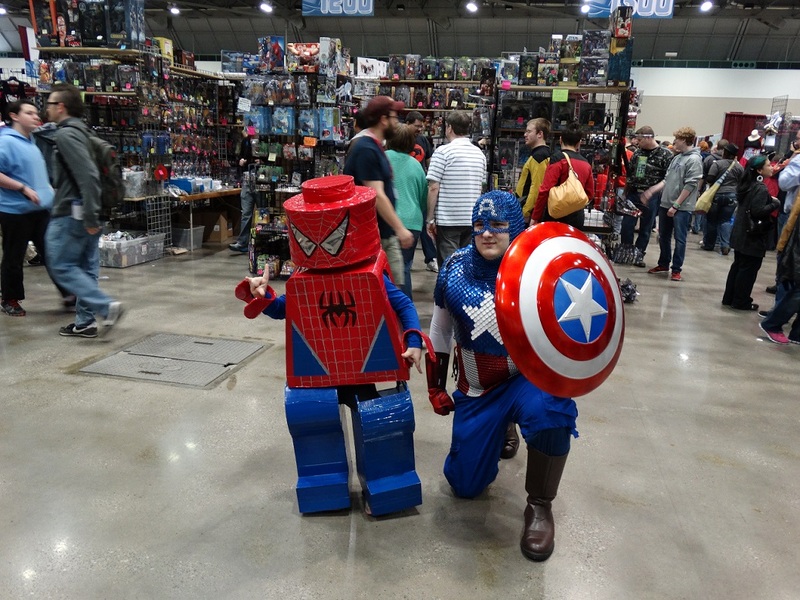 Captain America wanted his picture taken with Lego Spiderman. 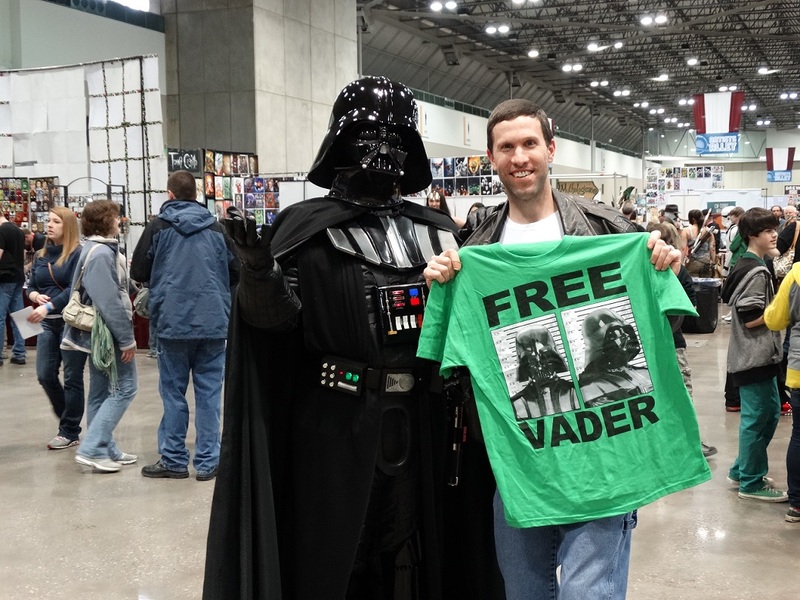 Glen posing with Darth Vader. Love the new t-shirt Glen is holding up! 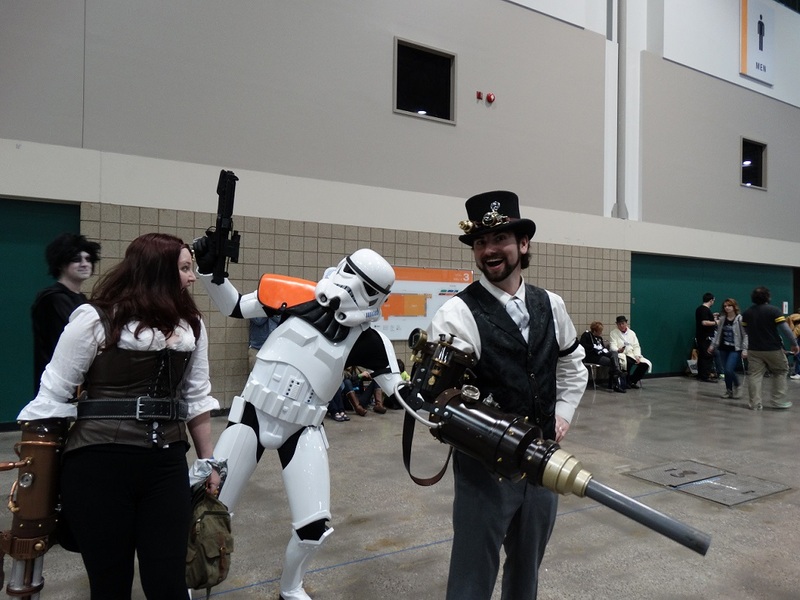 There were other big name celebrities at Planet Comicon besides the cast of Star Trek TNG. Lee Majors from The Six Million Dollar Man and The Fall Guy was there. 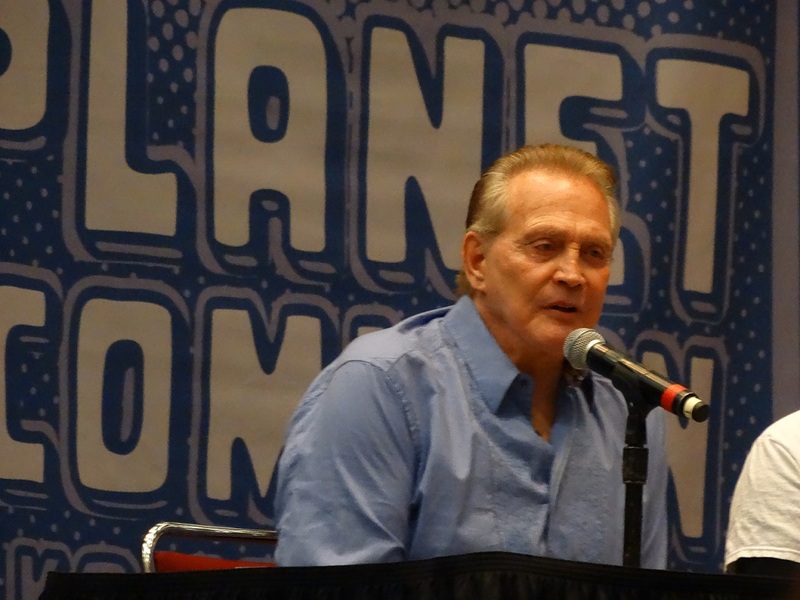 I was very excited to sit in on his panel because when I was a kid I loved the show The Six Million Dollar Man. 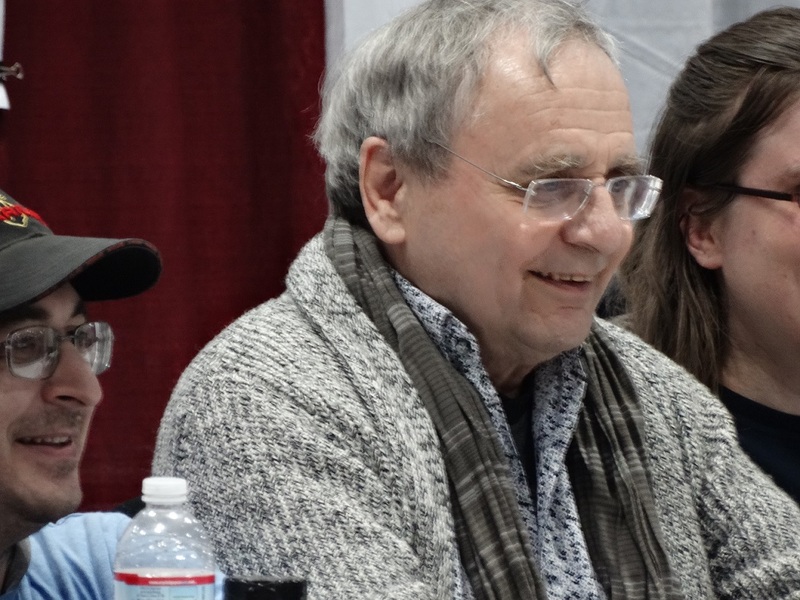 Sylvester McCoy played Radagast the Brown in The Hobbit…and for all you Dr Who fans, he was the 7th Doctor. 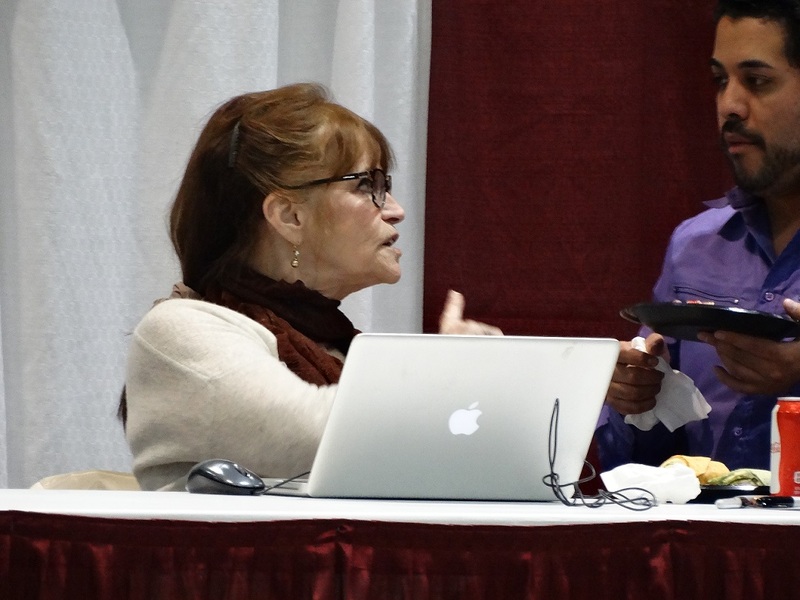 Margot Kidder is famous for playing Lois Lane in Superman. 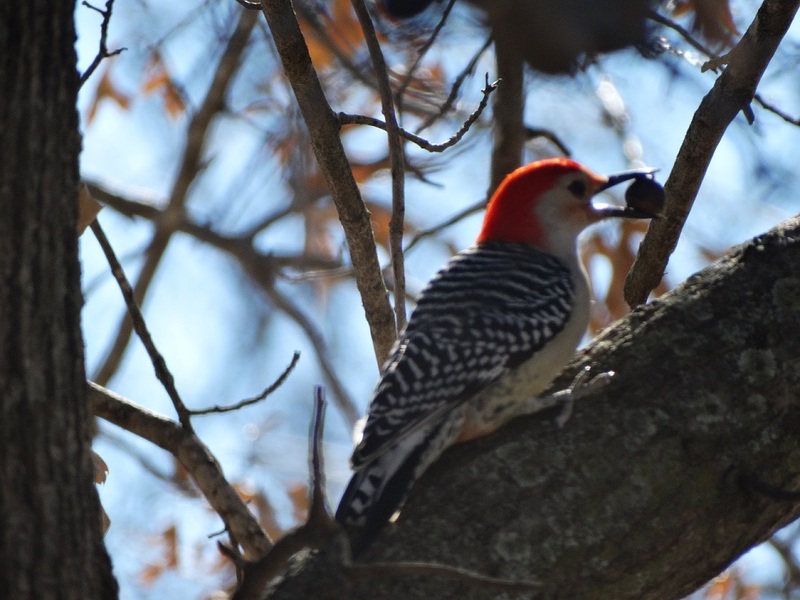 I’ll be honest…..I didn’t recognize her at first, she has really aged a lot. 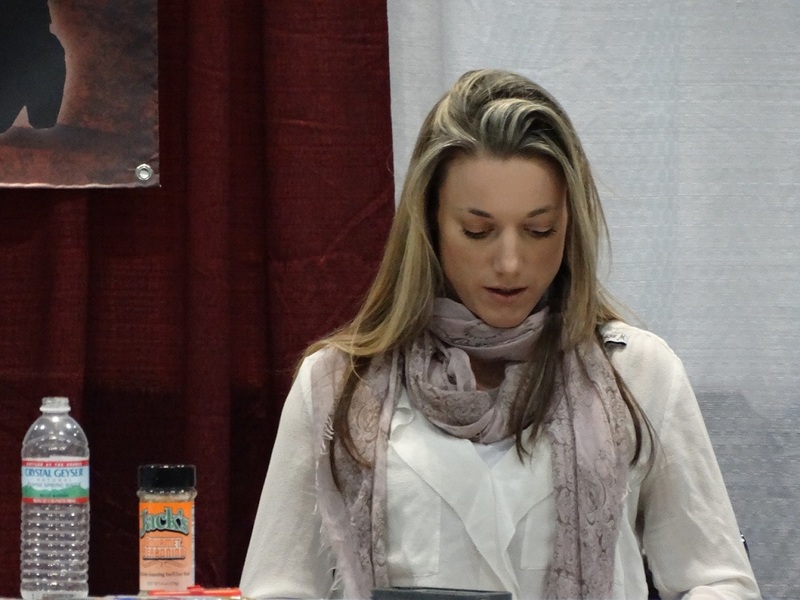 Zoie Palmer is Dr Lauren from the syfy show Lost Girl. Anne Wheaton….we argued that although she technically isn’t a “celebrity”, she is married to one and is still noteworthy. 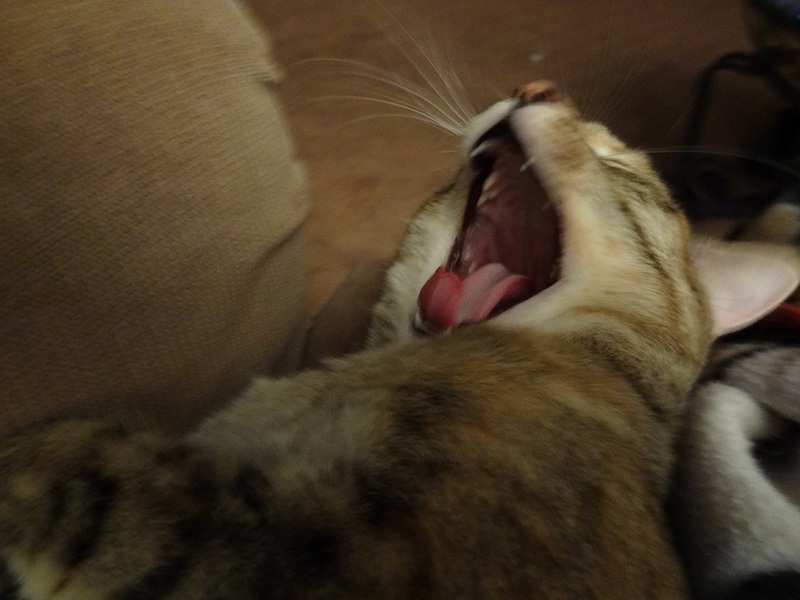 I follow her on Twitter and read her blog, she is funny and quirky.